The first festival of home textile, interior fabrics, furniture and accessories HomeFest 2018 was held in Moscow on September 18-21, 2018. The mission of the HomeFest festival is to unite efforts of suppliers in joint promotion of goods on the basis of a common, convenient and cozy exhibition area; to show the opportunities of comprehensive solutions to salon owners and to make interesting proposals to designers and decorators. During four days of work the festival has received more than 1600 guests like designers, owners of curtain and interior salons, design studios, buyers, owners and top managers of specialized wholesale companies. The HomeFest festival is organized under the patronage of the company Svetlana Moscow, which is the General sponsor of the event, and the company RELOTTI, which became an official partner of the festival. Both of these companies met together to support the development of the Russian market of goods for the interior and to create the most comfortable service for Russian designers and business owners of the industry. Warm and creative atmosphere, ideally decorated booths of 24 exhibitors from Eastern and Western Europe, a variety of brands and new products were perfectly placed in the chamber halls of the Gallery of Classical Photography on the Savvinskaya Embankment. Representatives of 5 European countries, experts and specialists of the textile and interior industry, as well as famous and authoritative designers took part in the daily intense business program of the festival HomeFest. Lectures and hot discussions on the most relevant professional topics such as "How to build a design business?" or "Where to go for inspiration?" were carried out all four days in the conference hall. The participants thoroughly analyzed the style of New Art-Deco, got acquainted with creative solutions from the Studio "Nuvo decor" and learned about new chances for designers and suppliers at the presentation of the furniture online project "ZasyaHome". At the master classes experts and masters of sewing shared their unique secrets and elaborations in working with interior fabrics and complicated interiors. Within the festival the company Svetlana Moscow effectively presented to the experienced public its design developmental work of a new collection of decorative trimmings "Orphism", which is a logical ongoing of collections from the catalog NEOTON. New curtain tapes developed by BANDEX especially for the Russian market were presented. BANDEX & SVETLANA team conducted a series of master classes that teach working with a wide range of multifunctional curtain tapes of the Austrian manufacturer BANDEX. Every visitor could evaluate the quality, comfort and functionality of sofas and chairs from the factory of soft furniture RELOTTI . Premium-class furniture was integrated into the exposition of almost every participant of the festival. RELOTTI factory produced more than 20 unique products made of fabrics of exhibitors-participants specially for Homefest expositions. Separately, the exposition of the company Caro House should be noted, on the booth of which in addition to the samples of the eponymous design collection of fabrics for the interior, were presented the samples of the leader in the production of high-quality and functional fabrics for upholstery of home and street furniture and awnings of SUNBRELLA brand, as well as catalogues from the old English textile publisher BillBeaumont. The constant German quality of home textile was demonstrated by the companies Curt Bauer, Cawo and Goezze, which presented ready-made samples of bed linen, towels, bathrobes, blankets, table linen to the visitors of the festival. There were fireproof fabrics from the Austrian company Englisch Dekor, the latest new products from Saum & Viebahn (Germany), JOOP! (Germany), Casablanca (Russia), Dekoma (Poland), Belli Grace (Russia), Mille (Austria). The festival HomeFest helped the guests to update their storages of samples and catalogues by the new season, to learn about new products and the latest trends, to find new suppliers, to meet with co-thinkers and to discuss all practical issues of their business. The unique geography of the location of the Gallery of Classical Photography allowed the guests of the festival to work effectively these days at the HomeFest and visit the anti-exhibition LIONTEX during one visit of Savvinskaya embankment. 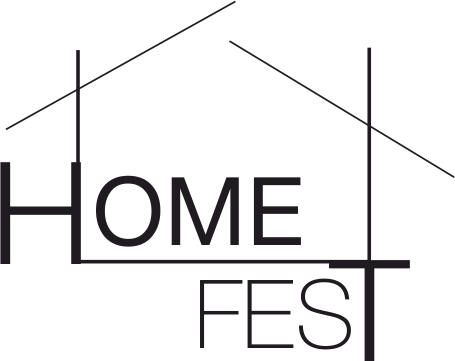 The HomeFest project was highly rated by the market. Positive feedback and fair criticism from the guests and participants of the festival will help the organizers to take into account all the pros and cons in further work on this long-term project. HomeFest-spring 2019 will be held on April 2-5 also here at the Gallery of Classical Photography. Visitors will discover more participants, saturated business program, the latest news and trends, and what is most important, they will face interesting and useful meetings filled with positive emotions.